We started in a backyard in 2009 as a small group of friends raising money for a family in need and years later we are a larger group of friends that continue this mission – to gather community to bring help and hope. Corey James was a bass player in a band when we met him. After watching him at shows and talking after we got to know him and his amazing outlook on life. Corey had a genuine way about him that was infectious when you were around him and it just made you smile. He was about love and happiness and made life all around him fun. When he passed we discussed how we could honor this young man that was to be so missed and our good friend Phil had the excellent idea to make our event in memory of Corey. Since then Corey James and the Good Time Benefit have been synonymous. Each year we hope to honor Corey’s name in a way that would make him and his family proud. We strive to bring our community together for a day of joyous fun and music that raises money for local families in need, all in Corey James’ name. We hope we honor him with our efforts in some small way. Corey James was born July 5, 1989. He was a ray of sunshine and was a social butterfly even at an early age. He attended Dacusville Elementary and middle schools and by high school attended 3 different schools: Pickens High, JL Mann High and Greenville Tech Charter High School because his family moved several times. Corey never complained about changing schools, but viewed it as his opportunity to meet more friends!! 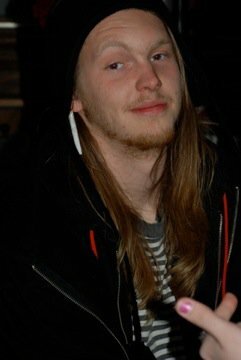 Corey loved music and skateboarding, and so he and two friends formed a successful band called Krooked Blaze in which he played bass guitar. Corey had a passion for skateboarding and was very good at it. Growing up he was at the roller skating rink every weekend since his aunt Crystal ran it and his brother Jerry worked there. He and his friends built an unofficial skatepark in Greenville located at a burned out mill in San Souci and named it “Twin”. Corey was always smiling and happy and he made sure those around him were smiling and happy too. Sunshine was one of his many nicknames. Life was going great. A group of Corey’s friends decided to go to Chapel Hill to visit UNC in mid June of 2010 and during this visit went for a ride on skateboards at night. During the ride Corey hit a reflector in the middle of the road and went airborne, came down and hit his head. This had happened many many times before but this time the Dr’s said Corey hit his head in “just the right spot” and stated that he wasn’t going to recover or regain consciousness. The accident was on June 12th and Corey crossed over and gained his angel wings on June 15th 2010.